You Are Here: Home > Introducing the NEW Road King Special! 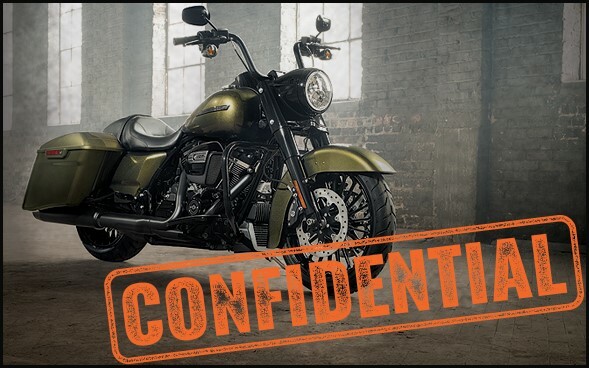 Today we introduce the new Harley-Davidson® Road King® Special motorcycle! Calling to riders seeking a touring experience, the Road King Special is as blacked out and stripped down as it gets. Our commitment is to deliver Harley-Davidson motorcycles that keep you riding more miles every day and inspire future generations of riders. Your passion for the open road will definitely be awakened on the new Road King Special. Sign-up to be contacted when it arrives!